With the haste of a best of 11-setter between Dennis Priestley and Justin Pipe, my new website has arrived. If you hadn’t noticed, it’s [nearly] all about the pubs. 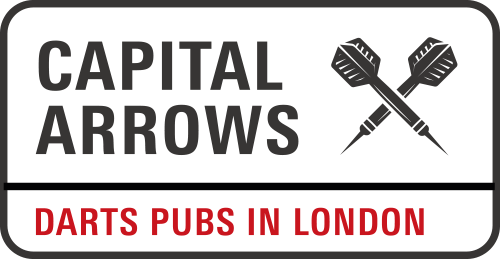 Whilst the sport flourishes, the pub game in London is dying, so I’m hopeful that the new, refreshed, Capital Arrows will play a tiny part in keeping some boards in some pubs in London. Search, visit, throw, drink, comment, repeat. Please. All else is not lost, however. The new site contains every episode of The Wrong Bed podcast (2016 special episodes anyone? ), details of my darts book, occasional other writing, and information about the events, coaching and consultancy that keeps me in beer. Talking of which, if you enjoy CapitalArrows.com and are in a generous mood, you are most welcome to buy me a pint. There’s a link on here somewhere. Most importantly, please spread the word, and enjoy your darts.